For the ultimate skyscraper views while eating London diners can go very high with options like The Shard and the Heron Tower. 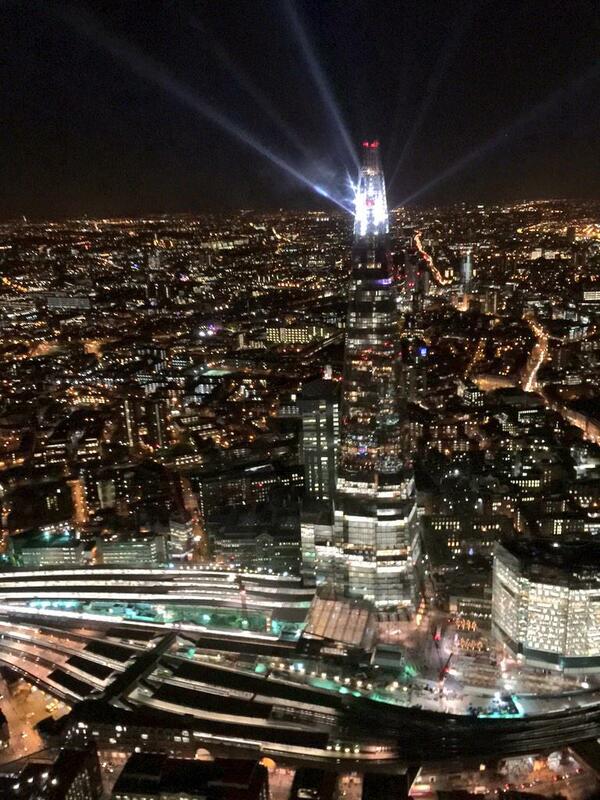 One of the Met's helicopters took this photo of the new light installation on the Shard. If you're anywhere near The Shard, it'll be hard to miss. Illusionist Dynamo has defended his levitation stunt at the Shard, after photos emerged clearly showing wires holding him up. A picture of a goose under a stormy London sky has won this year's British Wildlife Photography Awards. The snap by Lee Acaster shows the bird close-up by the Thames with the Shard in the background. The shot beat thousands of entries to win a £5,000 prize. Dynamo has caused a storm on Twitter, after his 'levitation' stunt on top of the Shard was debunked in photos showing the wires. A job advert has appeared on website for Good People Connect, a social enterprise which specialises in recruiting jobless Southwark residents. The advert states: "Do you want to take your career to new heights? We are looking for 2 experienced Vertical Window Cleaners to work at the The Shard and beyond." Applicants must have some abseil experience and previous cradle work experience. 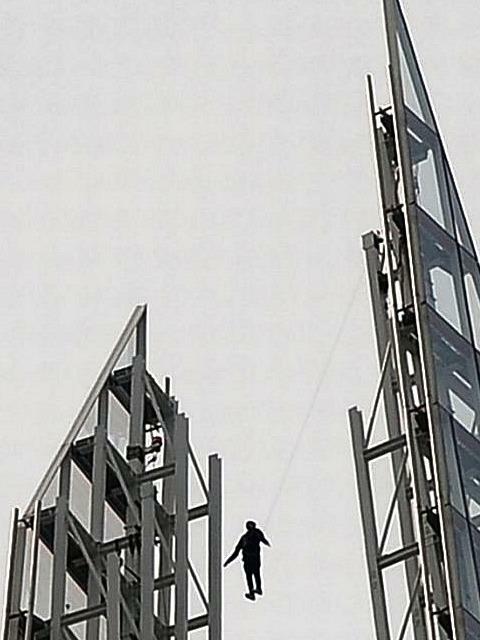 Europe's tallest building, The Shard, is on the hunt for two unemployed abseilers from Southwark to work as window cleaners. The successful candidates will be expected to work more than 1,000 feet above the ground. Once the alarm sounded in the building, the management put procedures into place for the evacuation process. As we arrived, the commander at the time decided that as a precaution the entire building was to be evacuated and crews quickly worked alongside building management to make sure that occurred. Evacuating such large numbers of people can impede crews if there is a fire apparent but because it has been practised a number of times and we have worked alongside building management on a number of exercises, it was quite a quick and easy process.